Short inspections are of schools that were good at their previous inspection to check that they remain good. These inspections last one day and typically take place every three to four years. On a section 8 short inspection, it’s important to begin with the mind-set that ‘this is a good school’. I will check whether the school remains good and make sure that the safeguarding is effective. It’s essential to have an honest, challenging, professional dialogue with senior leaders. Before the inspection, I review the inspection data summary report to get a view on how pupils are performing in national tests. It helps to form some questions I might ask the school. The school’s website is a useful source of information as it includes details of the school’s curriculum and policies. The day before, I call the headteacher to organise the inspection. I answer her questions, share my inspection plan and tell her she can attend all classroom observations if she wants to. We amend the inspection timetable to fit in with the normal running of the school. I assure the headteacher that we'll be in regular contact throughout the day. We will discuss emerging evidence at certain points during the day and any concerns that either of us have. I will meet with senior leaders, which includes governors, who are an important part of the inspection and play a huge and vital role in school improvement. I realise that some staff might be nervous and I organise a briefing for them early in the inspection. I tell them that I was a headteacher in the primary sector, so they know that I have professional expertise. I also take the opportunity to set their minds at rest about some of the myths we know exist about inspection. I tell teachers that there is no preferred style of teaching or written feedback. I won’t be grading lessons and I wish to see planned lessons, not lesson plans; there is an important difference between the two. The headteacher can see that the staff are reassured by this and are more relaxed as they begin their day. The headteacher and I meet early on to discuss the school’s self-evaluation. She explains to me the process of ongoing evaluation and improvement planning the school uses. We discuss the strengths and weaknesses of the school. She has an honest and open approach to the inspection and a clear self-evaluation of the schools’ effectiveness. This helps us to agree the main lines of enquiry for the inspection. 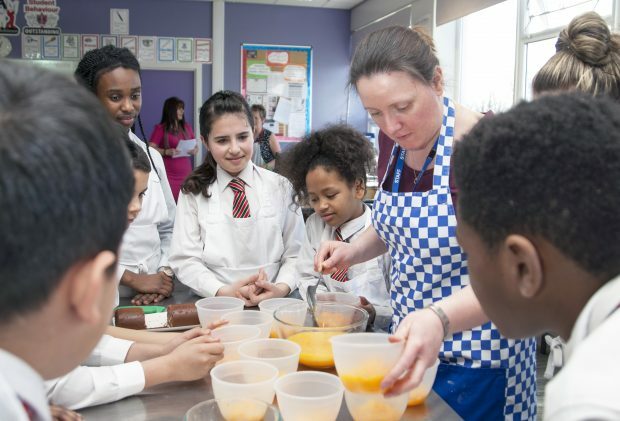 Safeguarding is a common thread that runs through all inspections regardless of the age group, the type of community and children that the school serves. I begin by checking that all the staff have been through the proper employment checks. The office manager understands how important these are. Throughout the day, I speak to staff to find out about their training and its quality. I ask them if they know what to do if they have concerns about pupils. I talk to pupils to see if they feel safe in school. Do they know how the school addresses any concerns if they're worried? They say that they know how to stay safe online and how to report concerns. The pupils tell me that they’ve recently taken part in internet safety week activities. The school also sends out safeguarding advice to parents through their regular newsletters, which the headteacher assures me are very popular. The headteacher and I decide to look at the standards across the curriculum and learning in several year groups. I can see that pupils behave well and work hard. It is also clear that teachers ask probing questions that challenge pupils to think. Standards in English and mathematics seem high. However, the standard of writing in geography and science books doesn’t mirror that seen in English books. The headteacher had mentioned before that she's working on this and we agree to look at a wider sample of books. I work with a range of curriculum leaders, testing the hypothesis that the standards in the wider curriculum may not match the high standards in English and mathematics. Leaders agree that this is a useful activity. 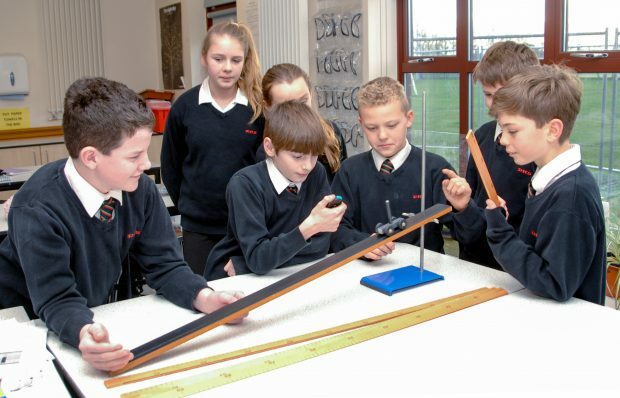 We agree that the pupils receive a broad and balanced curriculum. However, they don’t always write at a high standard in all lessons. This prevents them recording their research, ideas and conclusions in any great detail. Leaders acknowledge that focusing on this is a valuable next step for the school. Importantly, this shows that they understand the school and how to improve it further. At my catch-up meeting with the headteacher in the early afternoon, I assure her that I have sufficient evidence that the school continues to do a good job and so I will not be converting the inspection, or indeed recommending a section 5 for the school’s next inspection. My feedback to leaders and governors focuses on the school’s main strengths and the areas for improvement. I’ve worked with the headteacher throughout the day and my observations come as no surprise to the other leaders. I share the main information that I’ll include in the short inspection letter that’s sent to the school. I can see that the leaders know their school well and that the pupils are safe and receive a good standard of education. Leaders comment that the inspection has helped them to challenge their thinking and how to improve the school even further. More information is available in the School inspection handbook – section 8. What’s an inspection judgement based upon? No meeting with the governors then? Surely that is usually part of a short inspection? Good point. Meeting with governors is part of a short inspection. While it wasn't said explicitly, governors, trustees, directors and MAT/LA/diocesan play a huge and vital part in school improvement. It's important to remember the senior team are not the only leaders. I hope that clarifies it. I totally agree with Michele Nevard. Governors hold considerable responsibility and give freely of their time to support schools for no financial reward. This blog suggests the HMI only met with governors at feedback time and that their contribution to the leadership was not considered important. I suggest the NGA takes this up with Ofsted. Just to clarify, I was posting this response on behalf of the author of the blog, Dan Lambert, who completely agrees that governors play a huge and vital part in school improvement - apologies for any confusion. I found this blog interesting reading. However, I was struck by the first of the two photos used - Five boys actively involved in a science experiment, while two girls hover in the background, taking no active role. Is this the image of gender roles in science that Ofsted wish to project?! Hi, I'm glad you found the blog interesting. There was never any intention to imply girls are less active in science, by using this image. We have many photographs we use and are mindful of gender stereotyping, as well as culture and background. Links on this page do not work eg "School inspection handbook – section 8". Hi Ben, that should work now. Thanks for letting us know.